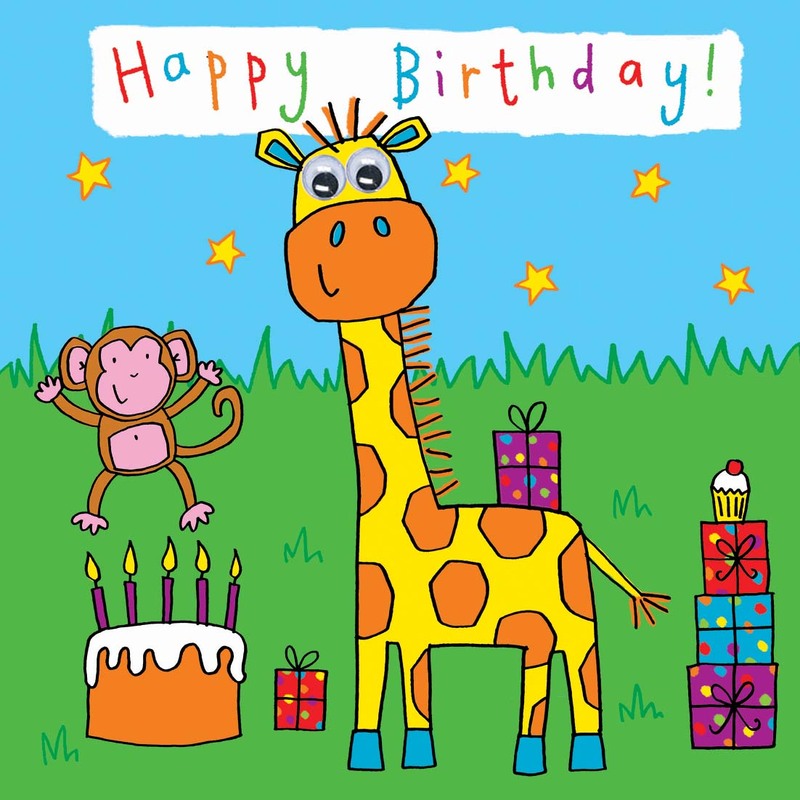 This birthday card features a colourful and bright giraffe from a magical animal kingdom. 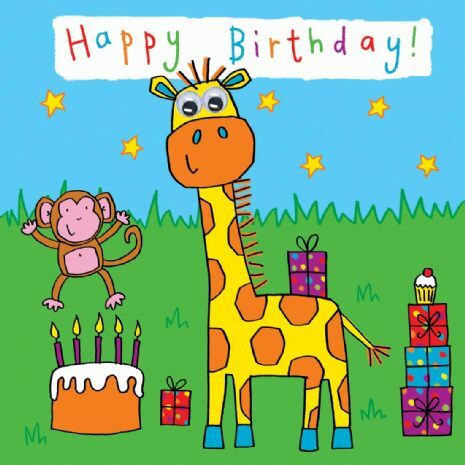 Children will love this bright cute card which has been drawn to appeal to children. The back of the card has fun facts about giraffes. The giraffe is brought to life with large google eyes.